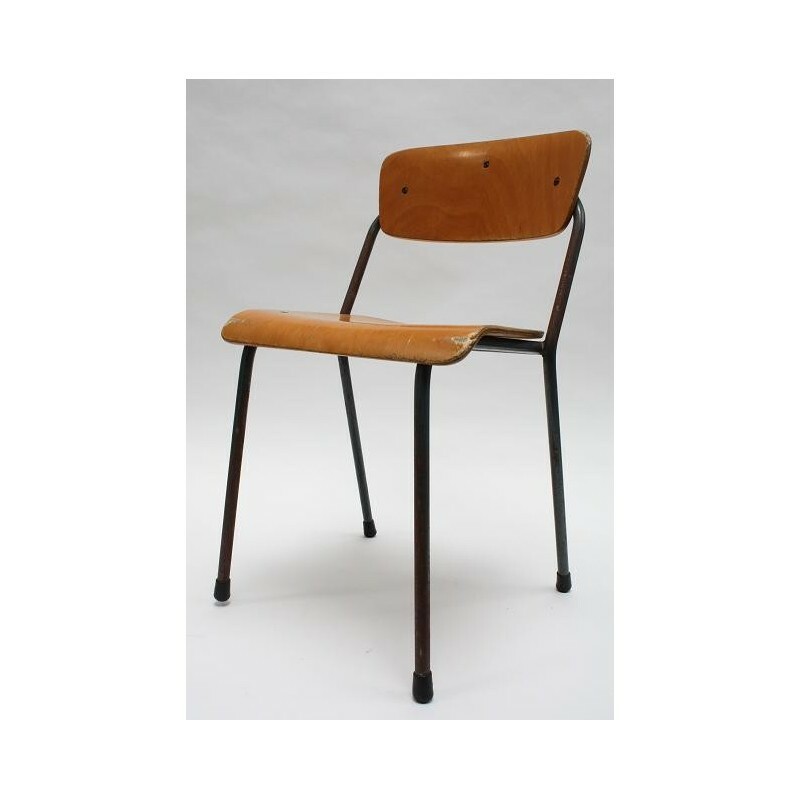 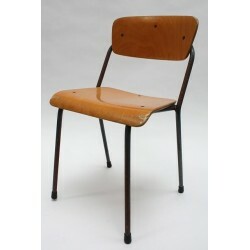 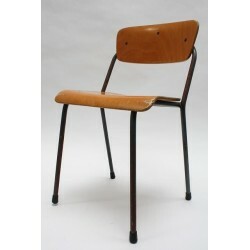 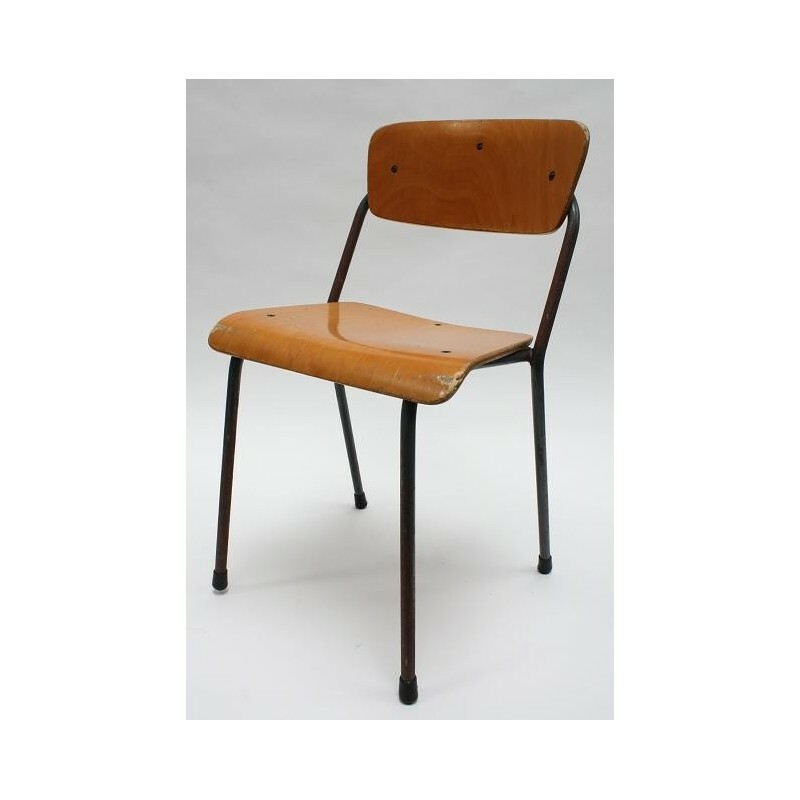 Vintage chair of the Dutch brand Marko. 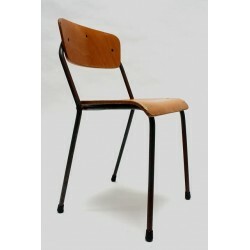 The chair has a metal frame and wooden seat and backrest. The chair is in a reasonable but used condition. 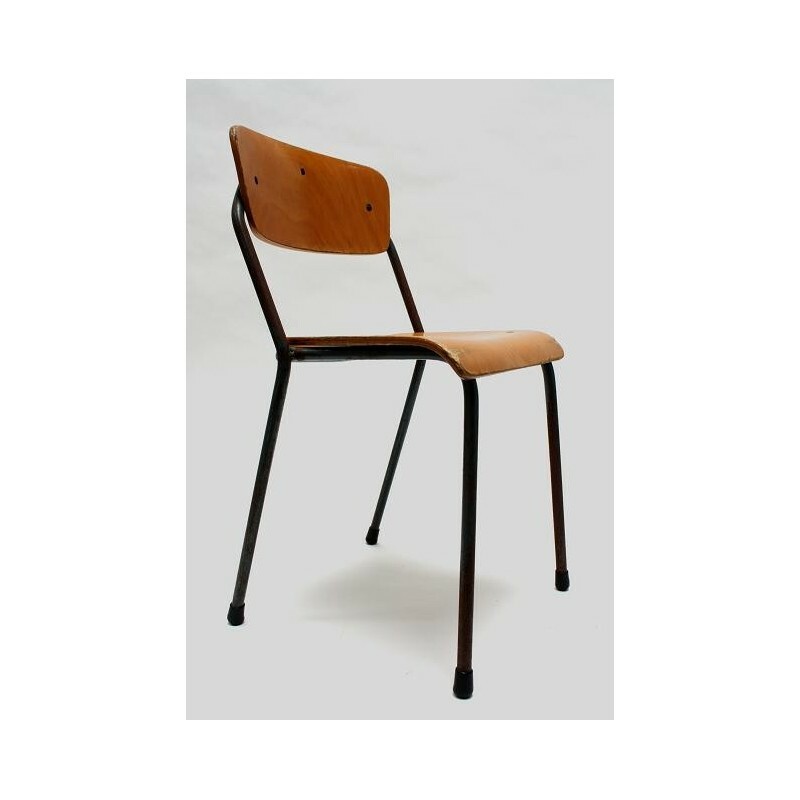 The size is 54 cm H / 32 cm SH/ 29 cm W.